What did Sir Winston Churchill and David Fisher have in common along with hundreds of thousands of others? 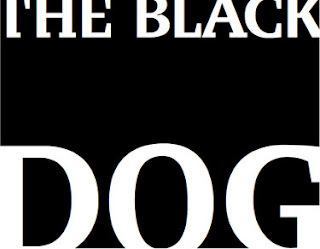 They/we all had to deal with our "black dog" of depression. "Had he been a stable and equable man, he could never have inspired the nation. In 1940, when all the odds were against Britain, a leader of sober judgment might well have concluded that we were finished." 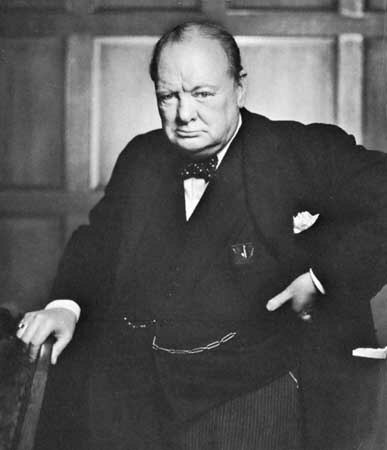 Churchill made frequent references to his depression, which he called his "black dog". Many believe Sir Winston coined the expression "black dog" himself, but this expression is actually much older. Click here to read brief history of this metaphor for depression from Paul Foley through the Black Dog Institute. Churchill's depressive periods tended to be intense and prolonged. Sometimes they were connected with traumatic external events such as his dismissal from the Admiralty after the Dardanelles disaster in WWI. Other times they could not be atrributed to such outside causes, fitting the classic profle of serious unipolar or bipolar depression. His depressions came and went throughout his long and remarkable life, and commenced in his youth. "I think this man might be useful to me - if my black dog returns. He seems quite away from me now - it is such a relief. All the colours come back into the picture." David's comment...Praise God for the tools He has given us to fight off our black dogs. We may be dogged on every side but we have His amazing grace and His unlimited power to equip us. Oh that I might remember that when he comes barking every day! Note: Thanks to my friend Mary Elliott for inspiring me to look into the "black dog" of Sir Winston Churchill. Sounds as if Churchill had a Hebrews 2:15 complex..though not necessarily in the positive sense as the verse speaks of: "...and free those who all their lives were held in slavery by their fear of death." Interesting post. Hey David...God uses everything in our life...even troubles to bring us closer to him.